On two consecutive days, Israeli forces in Kafr Qaddum village, near Nablus, have shot three Palestinian youth with live ammunition in their hip. The Friday demonstration under the slogan of the ‘Naksa’, remembering the 6-day ‘war’ and the Israeli occupation of the West Bank and the Sinai, started as every Friday after the noon-prayer. Right after the beginning of the demo, the army started firing tear gas canisters not only at the protestors, but at all directions. Additionally, they sprayed foul-smelling skunk-water, a mix of sewage and chemicals, directly inside the houses in an act of collective punishment of the civilian population of the village. Towards the end of the demonstration, Israeli forces shot two brothers, 19-year old Asaf Hikmat and 20-year old Omran, both were hit with live ammunition in their thigh. Asaf had to be evacuated to hospital and undergo surgery to remove the bullet-pieces from his thigh and is now recovering. On Saturday, Israeli forces attacked the demonstration with endless rounds of tear gas canisters, both shot from their guns and from the ‘venom’ mounted on the army jeep shooting 10 rounds at a time, as well as stun grenades. 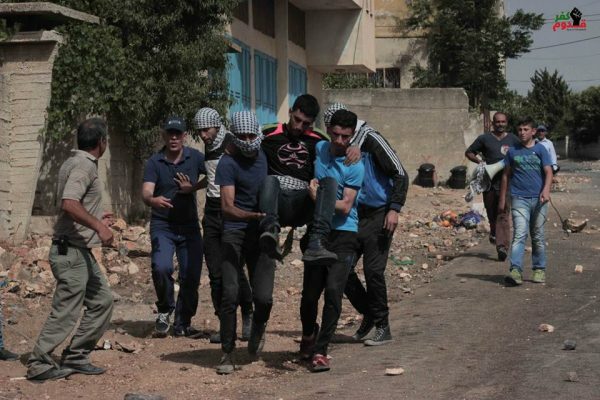 They additionally shot rubber coated metal bullets at the demonstrators, as well as live ammunition – injuring 16-year old Wael Abdallah with live ammunition in his thigh. 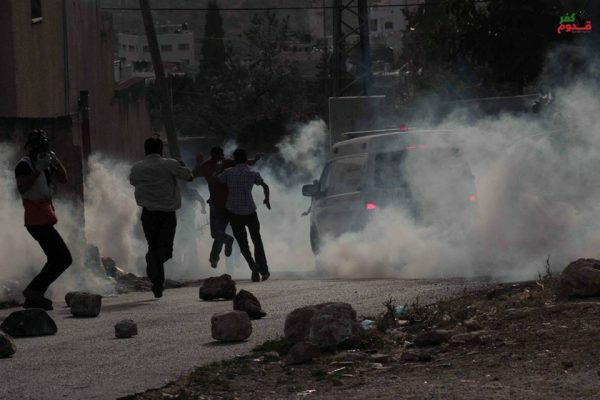 After these two days, the number of injuries with live ammunition in Kafr Qaddum reached 81. 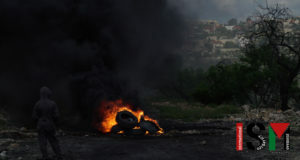 The village of Kafr Qaddum thus, in fear of this number rising even more, calls for international presence and media pressure to stop the Israeli forces’ violence against protestors and the collective punishment of the Palestinian village.